CelticWomanForum.com > The Cast > Éabha McMahon > Congrats on Getting Engaged! Well, my dreams are dashed. LOL! Éabha got engaged today! Congrats to Éabha and the exceedingly lucky gentleman. Re: Congrats on Getting Engaged! I believe the lucky guy is John. He's been in a bunch of pictures with Éabha. I can't recall the last name at the moment. Congrats to Éabha and John! He`s one lucky guy......as I stood next to her last year as she gave me her autograph, I thought "WOW...you are soooooooooo beautiful"....and she looks AWESOME in jogging shorts....but...European girls are my favorite , anyway.....German, DUTCH, eastern European......soooo nice. Eabha's wedding is scheduled for August, 2018! I thought I did read somewhere her wedding would be January 2018. Didn't expect this its great and exciting to take things slow..
Tara’s was January this year actually a few weeks ago on the 4th!! And this was her hen/ bachelorette party since she won’t have much time between the wedding and when she comes back from tour! And a possibility she will get married on my birthday weekend! Tomorrow (August 10th) is Eabha's big day! Congrats to Eabha and John! Huge congrats to eabha and John!! From the other pics i’ve Seen she looks stunning!! And so did the rest of the girls and mairead the bridesmaid!!! Everyone looked perfect!! I even love her ceremony look w the puffy tulle skirt over her dress!! I would have done the same thing if I got married and it looked owesome w her dress and the whole ensemble!! Most importantly wishing them a life time of love happiness and memories as they start this new chapter!! Congrats, John and Éabha! 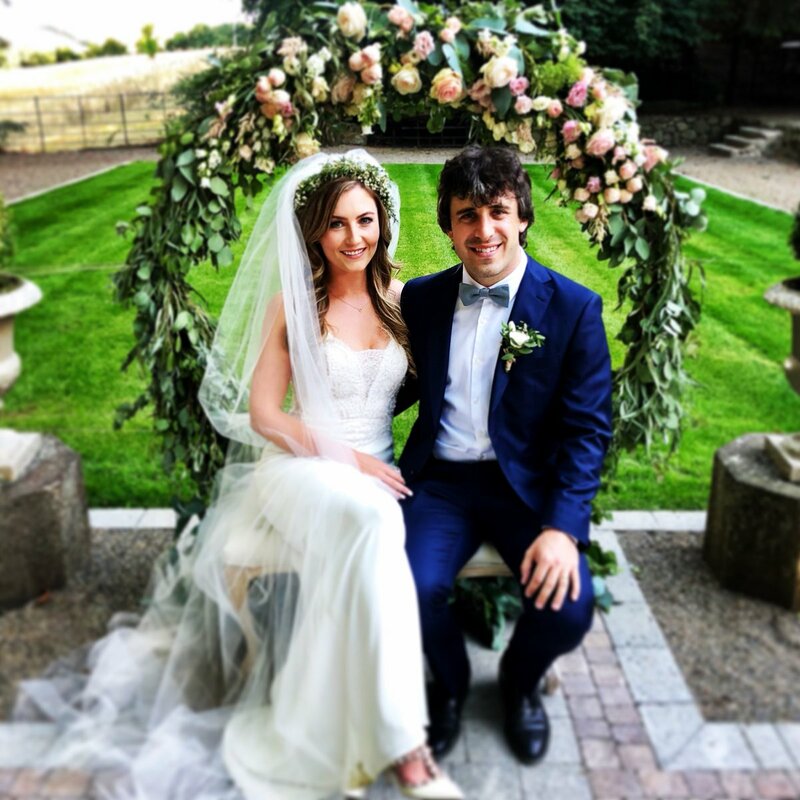 They make such a cute couple, and I am in love with Éabha's wedding dress and the dresses of the bridesmaids.